Our understanding of child development has grown exponentially over the past century, providing a window into the ways in which young students learn. Children are natural risk-takers, bold explorers who question, experiment and create. The Primary Years Programme (PYP) at NIST takes advantage of this, encouraging children from 3 to 11 (Early Years to Year 6) to develop an independent love of learning. 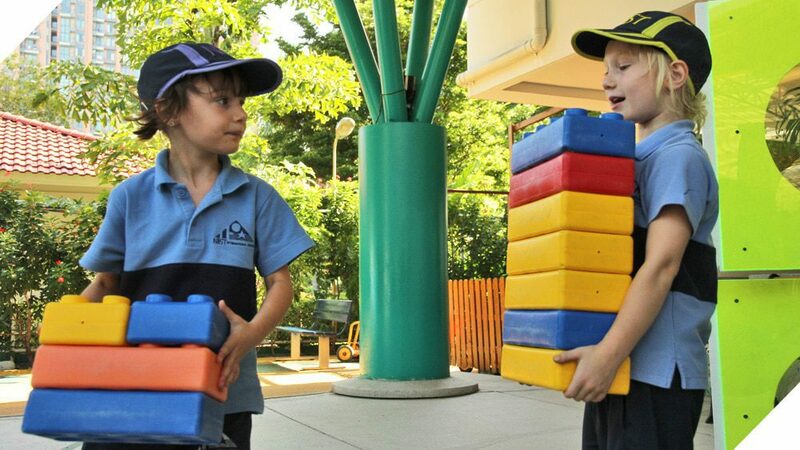 In the PYP student learning takes place naturally by blending subjects in a holistic approach. While gaining a firm academic foundation, children also learn to appreciate their diverse peers, explore new languages and concepts, develop social and emotional balance, and become responsible for their own learning. At its core, the PYP at NIST frees children to be children. Our PYP integrates academic and social learning, allowing students to become confident and independent learners through play, inquiry and exploration. As well as developing foundational language, mathematics, cognitive and physical skills, the curriculum includes elements of environmental studies, creative arts, music and dramatic play. All subject areas are integrated rather than being taught in isolation, and are tied together through six trans-disciplinary themes that provide meaning and context. In order to address the individual needs of each child, our teachers utilize a wide range of teaching strategies, and new activities are regularly introduced to match the interests and abilities of the children. Each unit addresses the core subjects, but also offers a wide range of other learning opportunities. Cooperation, creativity, individual initiative and responsibility are always encouraged. This social approach to learning is evident in two other unique features of the PYP: action and the student exhibition. Students learn to empathize, recognize the commonalities that tie us together regardless of culture, and take action to connect with others. As they reach the end of the programme, they complete an extended project that requires them to synthesize their learning and present it to the community in a day-long public exhibition.